(CNS): A major new report is calling for a different approach to decision making by national leaders regarding climate. Drawing on inputfrom over 100 experts in over 35 countries, the report includes 12 case studies of innovative, real world responses to climate change. The report offers a suite of tools and recommendations for national-level policy makers about adaptation efforts to address uneven vulnerability and planning for uncertainty when making decisions. Decision Making in a Changing Climate, explores challenges and offers recommendations for national-level government officials to make informed and effective decisions to respond to the changing climate. The report, produced by the World Resources Institute, UNDP, UNEP, and the World Bank, is the latest edition of the influential World Resources Report. The challenges of climate change are made clear by the array of recent extreme weather events from massive droughts in the Horn of Africa to record rainfall in the United States to wildfires in Brazil. 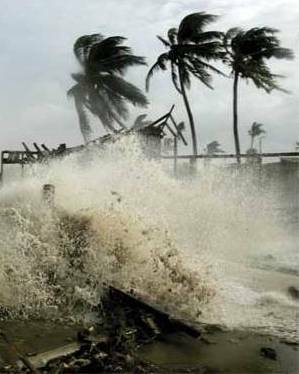 According to global insurance company, Munich Re, there were more than 950 natural disasters in 2010, 90 percent of which were weather related, costing a total of at least $130 billion. While the pace of climate change is accelerating, there is great uncertainty about how some impacts— such as changing precipitation patterns and sea level rise — will unfold around the world. The report says that climate change impacts will not play out on a level playing field as some people are more vulnerable than others and it demands tough, but transformational changes. "National, regional and local governments, businesses, and civil society are already making decisions to make the transition to a climate resilient, low-carbon future and build the green economies of the twenty-first century,” says Kaveh Zahedi, Coordinator of UNEP’s Climate Change Program. “This report shows that smart adaptation investments, such as those in climate resilient agriculture in China, mangrove restoration in Vietnam, and watershed management in Rwanda, deliver multiple benefits from food security to coastline protection to improved energy supply and ultimately help build the resilience of communities that are most vulnerable to climate change."